WARNING! 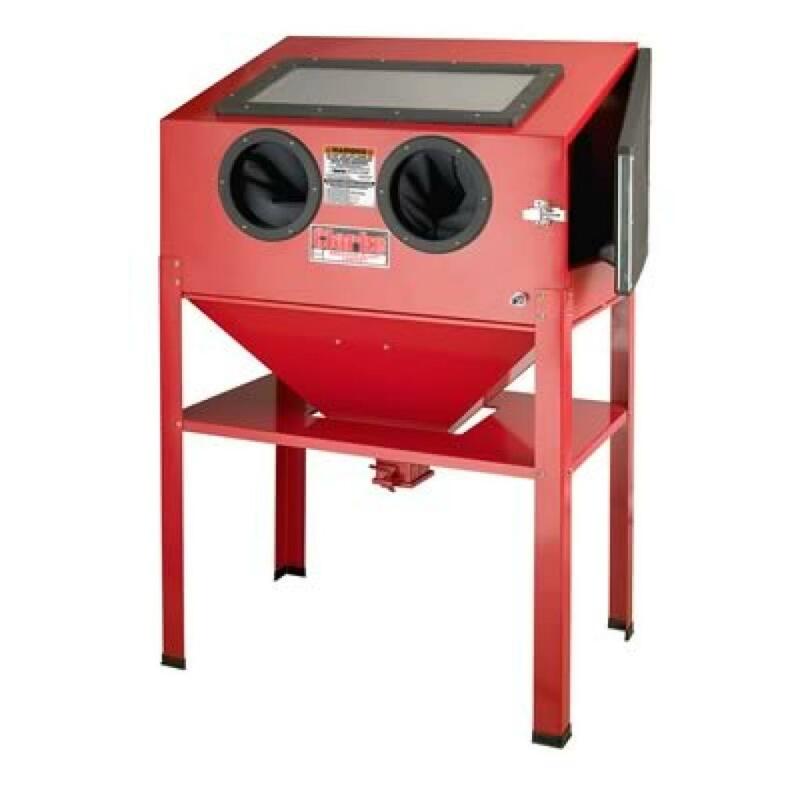 : This machine is not intended for use with silica base abrasives. Silica based abrasived have been linked to severe respiratory disease. 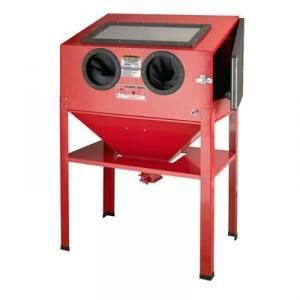 Always use silica substitues when abrasive blasting! WARNING! : Always Close and latch the door prior to operating cabinet. WARNING! : The air should be turned off until the workpiece is inside the cabinet to prevent accidental spraying of abrasive when loading. WARNING! : Do not aim the nozzel at your fingers, the rubber gloves or the light. Ensure dust trap has water before using. Arm Hole openings - 7"
Work Area Dimensions - 37" x 23" x 54"